Unlike Duffy London’s previous iterations, the Abyss Horizon is circular rather than rectangular. This table, in addition to being a striking conversation starter, is made to order and handcrafted by local artisans and in-house craftsmen. 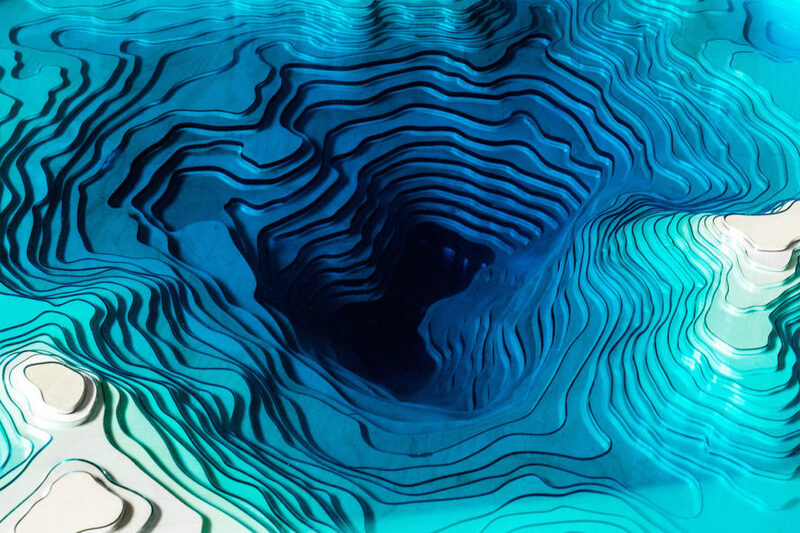 The layers of cut glass create the illusion of a bottomless sinkhole in the center of a table. The light-colored wood that surfaces at the top mimic islands and landforms with sandy white beaches and aquamarine waters. The Abyss Horizon Table is limited to 25 editions and can be made and delivered within 12 to 14 weeks. Price is available upon request. 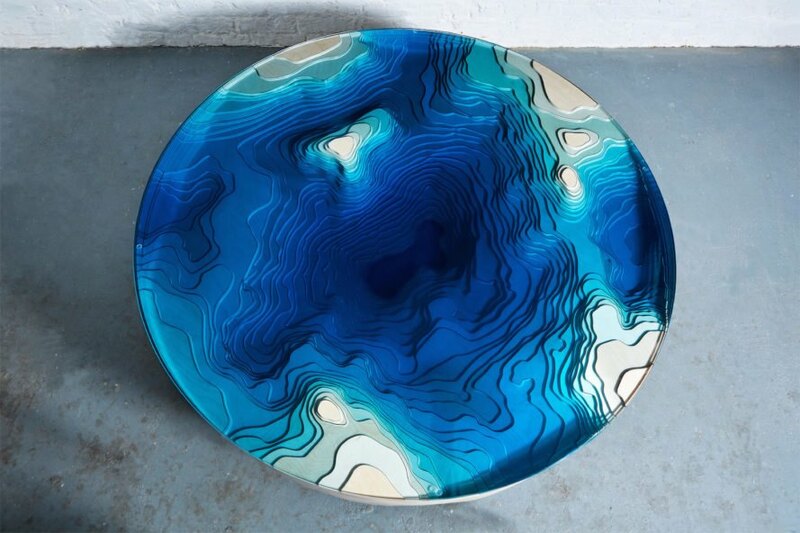 The Abyss Horizon is available to view through the Sarah Myerscough Gallery.